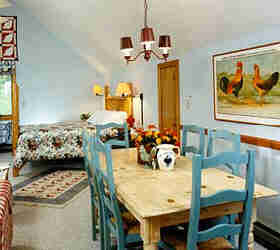 All rooms have private bathrooms and cable TV. Rates are per night for one couple; Innkeeper's specially prepared full breakfast included and served in our dining room. Above prices do not include 9% North Carolina Sales and Occupancy tax. Minimum of two nights on the weekend (Friday or Saturday). Children over 12 welcome in Bed & Breakfast; children of all ages welcome in Cottages. 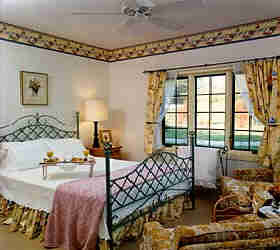 Additional person in same room add $20.00 per night (not available all rooms). One night's deposit required for guaranteed reservation, refundable with 72 hour cancellation notice. MasterCard, Visa, American Express and Discover Card Accepted. Check-in 3-8 p.m., Check-out 11 a.m.
No Smoking inside, please. Sorry no pets.